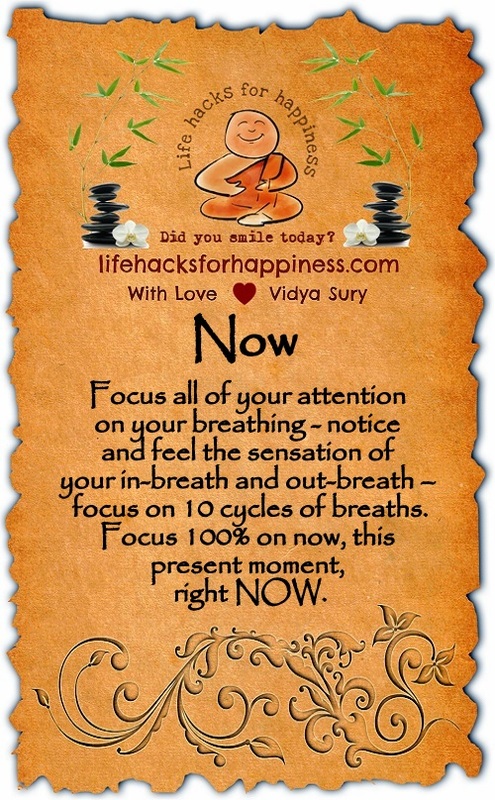 Focus all of your attention on your breathing – notice and feel the sensation of your in-breath and out-breath – focus on 10 cycles of breaths. Focus 100% on now, this present moment, right NOW. The present is indeed a gift!